the third day he rose from the dead; he ascended into heaven, and sits at the right hand of the Father, from thence he shall come to judge the quick and the dead. 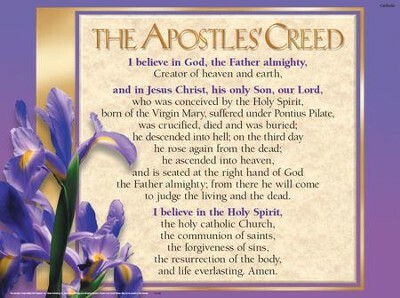 And in the Holy Spirit; the holy Church; the forgiveness of sins; the resurrection of the flesh. (the life everlasting). 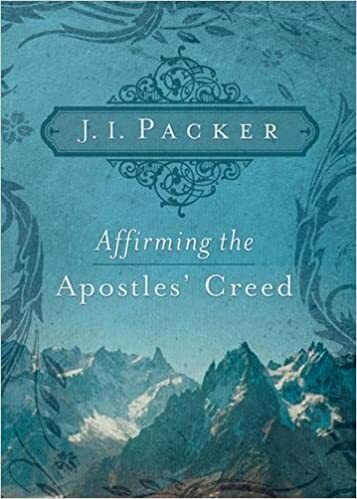 〔文献〕Barclay, Apostles’ Creed for Everyman; S. Barr, From the Apostles’ Faith to the Apostles’ Creed; P. Guhrmann, Great Creeds of the Church; J. N. D. Kelly, Early Christian Creeds; W. Pannenberg, Apostles’ Creed in the Light of Today’s Questions; J. Smart, Creed in Christian Teaching; H. B. Swete, Apostles’ Creed; H. Thielicke, I Believe: The Christian’s Creed; B. F. Westcott, Historic Faith.